Lighthouses played a critical role in Florida’s history; making it possible to explore, settle and develop Florida by using its 1350 miles of coastline (second only to Alaska in states with longest ocean coastline). Only 29 lighthouses remain today. A 2002 study done by the State of Florida estimates that it will take almost $20 million dollars to preserve these towers. FLA's vision is a future where Florida’s historic lighthouses will have ALL the resources needed to preserve, restore, protect and defend our historic towers, collections and history in perpetuity. The Florida Lighthouse Association is a nonprofit organization. Financial support comes from charitable gifts, membership dues, and Florida State specialty license plate sales. Watch a YouTube Video and learn more about Florida's Lighthouse and what the Florida Lighthouse Association does to helps save them. Here is how YOU can help preserve and protect Florida’s lighthouses! Please consider making a charitable gift today! Philanthropic gifts from individuals play an essential role in funding preservation efforts. Join FLA as a Member to learn about Florida’s lighthouses & maritime history and get more involved in preservation efforts. 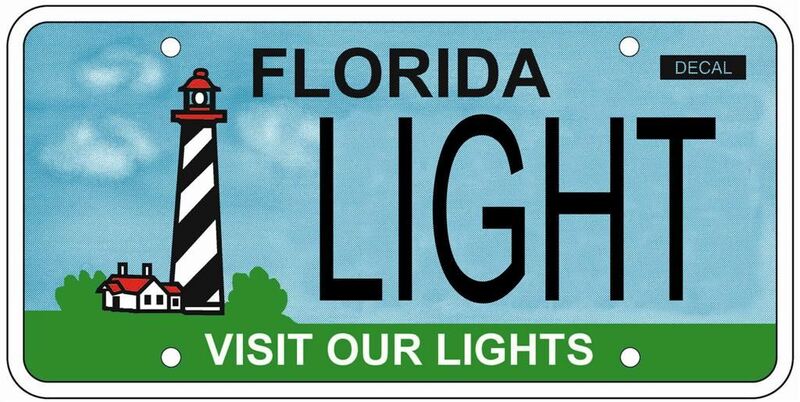 Advocate for the preservation of Florida’s remaining lighthouses.